For the past 2 weeks we have been doing a little experimenting and trying to make grilled pizza (as you can see from my instagram). 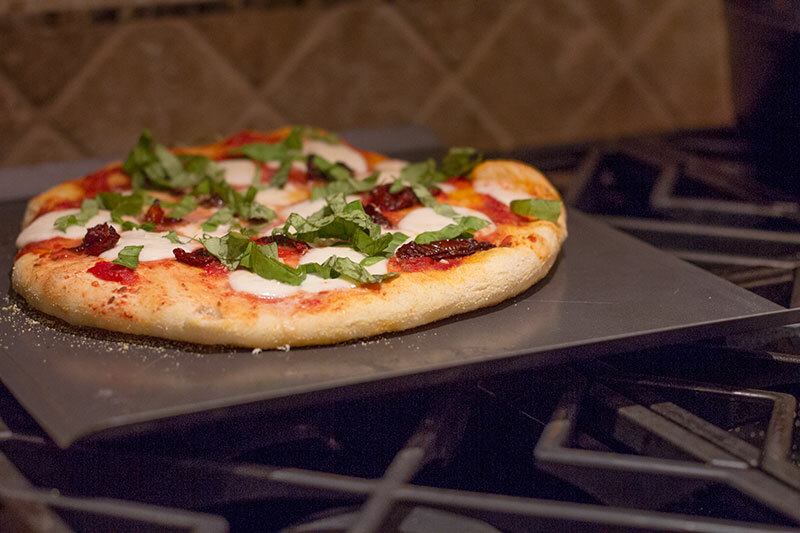 We first started out by putting the dough straight on the grill without a pizza stone, then moved on to using a pizza oven. 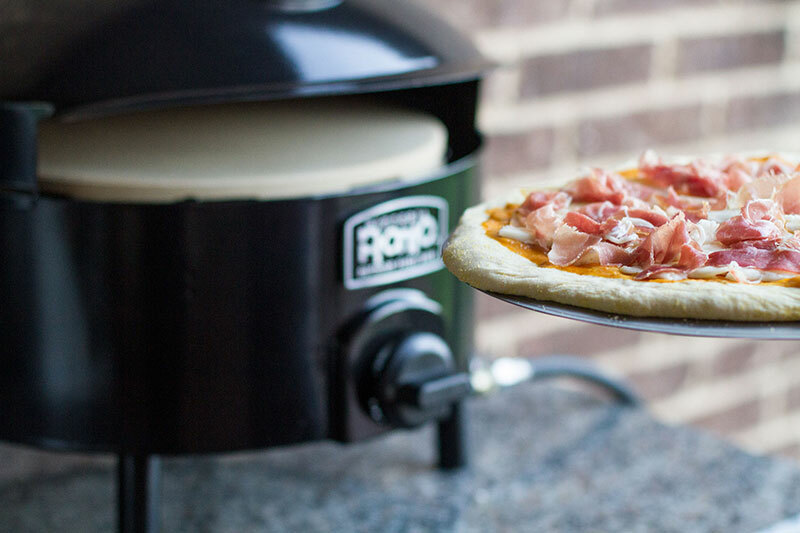 I honestly preferred the pizza oven vs. putting the dough directly on the grill… But if you don’t have one then a stone will definitely work just fine! 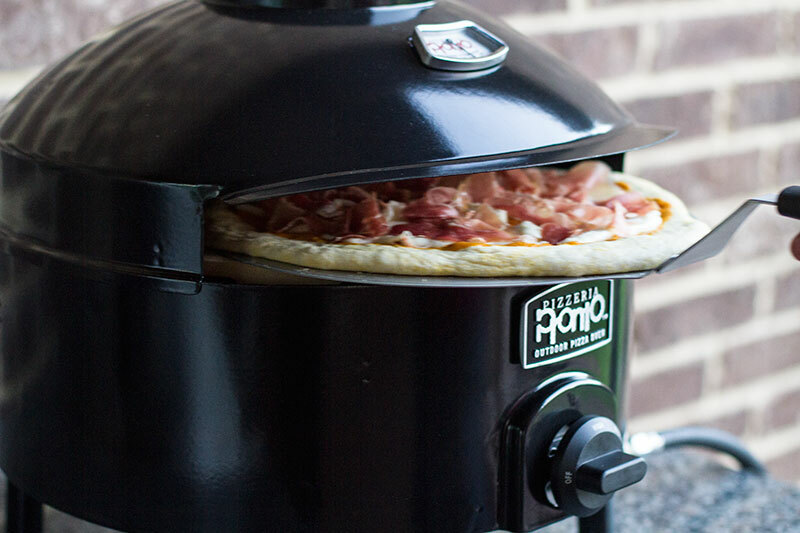 Just close the grill to make sure the toppings get nice a toasty. 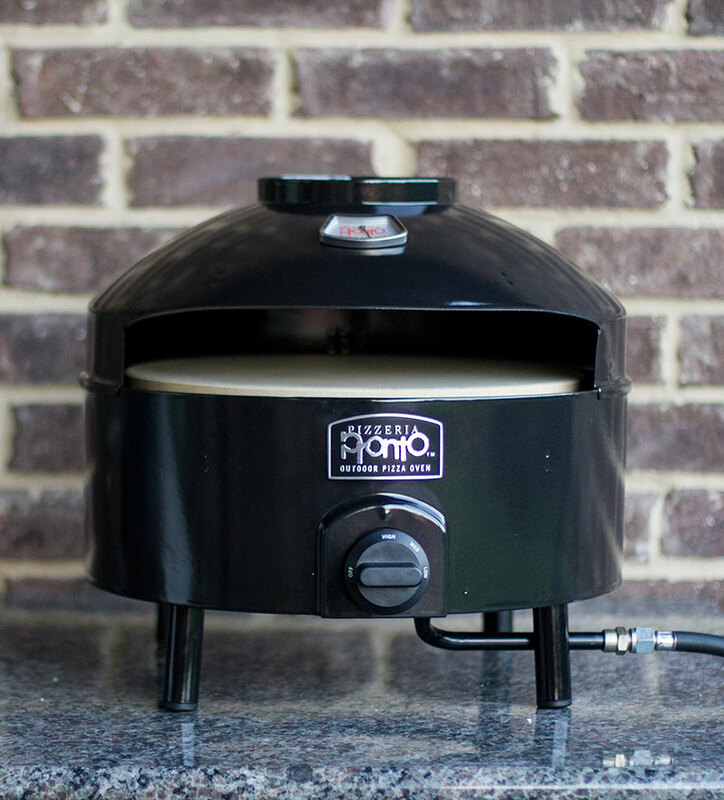 I got the Pronto Pizza Oven from Williams-Sonoma which was nice not only because you feel like you are making wood fired pizza right in your back yard, but it also heats up super fast and cooks the pizza nicely all over. I’ve made a few different pizza’s. My favorite which is margherita, a wild mushroom one, and even a prosciutto and pumpkin puree one. 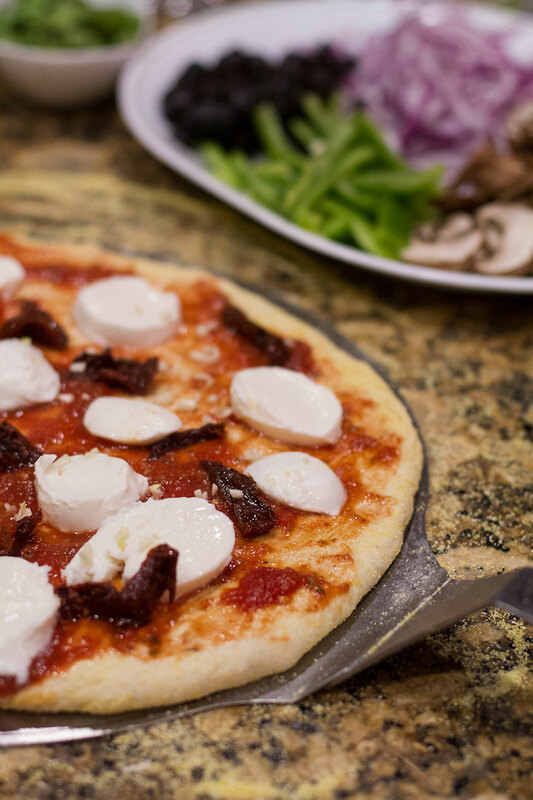 The idea for that one came from a pizza place we went to in Italy that was one of the best we tried while there! I found this pumpkin puree at Central Market, and used Italian provolone (which is so much better than American provolone), and of course Italian prosciutto. If you’re adventurous with your food you should definitely try it, although it still doesn’t compare to the original in Rome.